Below you fill find all funeral homes and cemeteries in or near Frostburg. 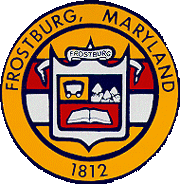 Frostburg is also known as: Allegany County / Frostburg city. Their current mayor is Mayor W. Robert Flanigan. Zip codes in the city: 21532. Allegany County funeral flowers can be purchased from one of the local funeral shops we partner with. Some of the notable people born here have been: (william pritchard), (lenore kight), (jack fisher), (charles j. colgan), and (william mcmillan (sport shooter)). Frostburg is a city in Allegany County, Maryland, United States and is located at the head of the Georges Creek Valley. It is part of the Cumberland, MD-WV Metropolitan Statistical Area. The population was 9,002 at the 2010 census. Located 8 miles (13 km) west of Cumberland, the town is one of the first cities on the "National Road", US 40, and the western terminus of the Western Maryland Scenic Railroad. Since 1991, the city has been served by Interstate 68.The City of Frostburg has an approximate year-round population of 8,075. In addition, 5,400 students attend Frostburg State University, a public university within the University System of Maryland.Frostburg was originally called Mount Pleasant until 1820, when the government developed a postal service, and the town was renamed Frostburg. It was written by Register Guard on January 29th, 2019 that Frank Albert Jr Reitz passed on in Eugene, Oregon. Reitz was 85 years old and was born in Frostburg, MD. Send flowers to express your sorrow and honor Frank Albert Jr's life. It was reported by The Roanoke Times & World News on September 28th, 2018 that Roger Lee Beeman perished in Roanoke, Virginia. Beeman was 70 years old and was born in Frostburg, MD. Send flowers to express your sorrow and honor Roger Lee's life. It was disclosed by Star Beacon on July 29th, 2018 that Michael A Sr Phillips perished in Warrensville Heights, Ohio. Phillips was 66 years old and was born in Frostburg, MD. Send flowers to express your sympathy and honor Michael A Sr's life. It was revealed by Orlando Sentinel on January 7th, 2018 that Helen "Sue" Bonebreak (Eberly) passed away in Florida. Ms. Bonebreak was 89 years old and was born in Frostburg, MD. Send flowers to express your sympathy and honor Helen "Sue"'s life. It was reported by Star Beacon on December 9th, 2017 that Kathleen A Meola (Phillips) passed away in Ashtabula, Ohio. Ms. Meola was 64 years old and was born in Frostburg, MD. Send flowers to express your sorrow and honor Kathleen A's life. It was reported on November 30th, 2017 that Ronald Wells Simon passed away in Urbanna, Virginia. Send flowers to express your sympathy and honor Ronald Wells's life. It was noted by Sarasota Herald-Tribune on June 24th, 2017 that Henry Frederick Jr Schultheis died in Sarasota, Florida. Schultheis was 82 years old and was born in Frostburg, MD. Send flowers to share your condolences and honor Henry Frederick Jr's life. It was revealed by The Daily Herald on February 21st, 2017 that Mary J Santucci passed away in Illinois. Santucci was 99 years old and was born in Frostburg, MD. Send flowers to express your sympathy and honor Mary J's life. It was disclosed by Star Beacon on February 3rd, 2017 that Ada L Sharp (McKee) died in Geneva, Ohio. Ms. Sharp was 80 years old and was born in Frostburg, MD. Send flowers to express your sympathy and honor Ada L's life. It was noted by The Daily Journal on December 29th, 2016 that Lawrence "Larry" Brode perished in Vineland, New Jersey. Brode was 85 years old and was born in Frostburg, MD. Send flowers to express your sorrow and honor Lawrence "Larry"'s life. 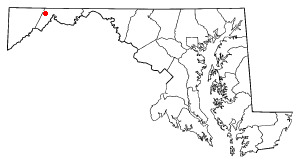 :'For the NSA computer, see FROSTBURG.'. . . . . The official website for the city of Frostburg is http://www.frostburgcity.com/. Listing all funeral homes in Frostburg, Maryland so you can easily send flowers to any location (same day delivery) or find any funeral service. Find BBB Accredited Funeral Directors near Frostburg, MD - your guide to trusted Frostburg, MD Funeral Directors, recommended and BBB Accredited businesses. We work with local florists and flower shops to offer same day delivery. You will find budget sympathy flowers in Frostburg here. Our funeral flowers are cheap in price but not in value.